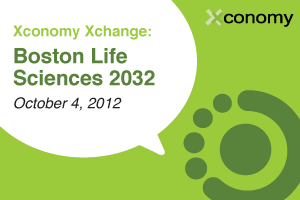 What will the Boston life sciences landscape look like two decades from today? Will this region remain the world’s leader in university, hospital, and corporate research; drug and platform development; and startup activity? Even more, will area companies be shaping a new era in healthcare–and what new advances might make that possible? Four years after we first posed these sorts of questions at our inaugural Xconomy biotech evening, we’re assembling another select group of life sciences leaders, innovators, and venture investors to help us lift our heads up from day-to-day challenges and look to the region’s future. Deborah Dunsire is President and CEO of Millennium: The Takeda Oncology Company. With 20-plus years of pharmaceutical business experience, she leads an innovative biotechnology company that discovers and develops new medicines that change standards of care in cancer treatment. Dr. Dunsire received the 2011 MassBio Innovative Leadership award. Noubar Afeyan is founder, Managing Partner, and CEO of Flagship Ventures. He is also a Senior Lecturer at MIT’s Sloan School of Management. During his 25-year career as inventor, entrepreneur, CEO and venture capitalist, he has co-founded and helped build 25 life science and technology startups. Dennis A. Ausiello, MD is the Jackson Professor of Clinical Medicine at Harvard Medical School, Chief of Medicine at Massachusetts General Hospital (MGH), and Chief Scientific Officer of Partners Healthcare. Dr. Ausiello serves on the Board of Directors of Pfizer; drug delivery company TARIS; the nonprofit organization, Research!America; and the Broad Institute of Harvard and MIT. Michael W. Bonney is CEO and a director of Cubist Pharmaceuticals. Prior to joining Cubist in 2002, he held senior level positions at Biogen, and spent 11 years at Zeneca Pharmaceuticals. Mr. Bonney is a director of NPS Pharmaceuticals and the Pharmaceutical Research and Manufacturers of America (PhRMA). John Mendlein (moderator) is Executive Chairman and CEO of aTyr Pharma (novel protein therapeutics) and Vice Chairman of Fate Therapeutics (drugs for stem cells), two San Diego biotech companies. Prior to aTyr and Fate, he served in leadership and board roles at Aurora (now Vertex) and Adnexus (now a BMS company), both of which were founded on inventions from Nobel Laureates, Roger Tsien and Jack Szostak, respectively.